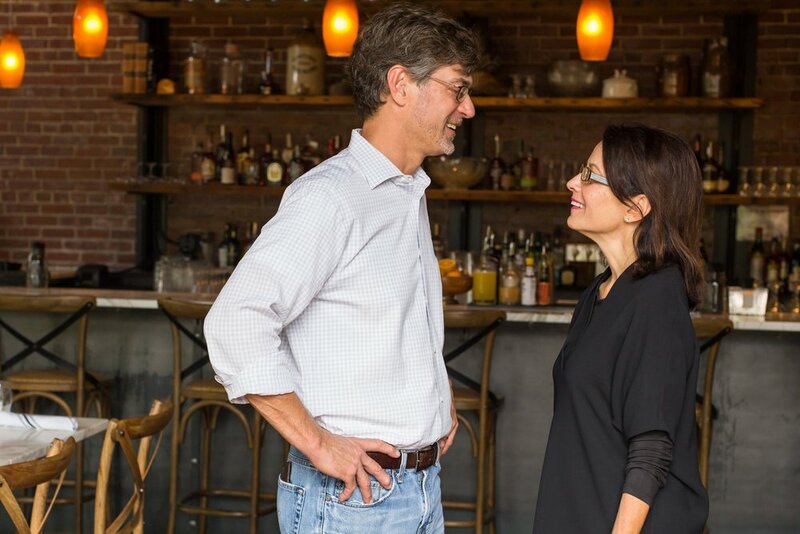 OvenBird is Chris and Idie Hastings live fire, casual restaurant. Our menu focuses on the amazing seasonal southern ingredients we know and love in a small plate format that takes inspiration from the live fire traditions of Spain, Portugal, Uruguay, Argentina and of course the American South. We are located in the Pepper Place neighborhood, specifically in the Garden of Charlie and Cindy Thigpen's Garden Gallery. The garden is a very unique and beautiful outdoor dining environment that will change seasonally and support both our kitchen and craft cocktail program. Ovenbird's Bar program celebrates the cocktail traditions from the same cultures in our seasonally driven craft cocktail menu. Our friends at Back Forty Beer Company helped us create our own very special OvenBird beer, which is featured along with a great selection of craft beers from around the country. Our wine list is particularly exciting as it features pairings for each menu item, a glass program, and a list that emphasizes off the beaten path varietals from remote locales handpicked for their authenticity, affordability and comparability with our cooking. We have worked closely with some of Alabama's finest craftsmen and leaders in design to create a variety of amazing vignettes for you to enjoy a great meal with your friends, family or colleagues. We look forward to telling their stories which remind us of how fortunate we are to live in a place like Alabama that celebrates our Southern Makers.